The closing date for entries to the Digital DNA Awards, powered by MCS Group, is fast approaching. And for the first time, the Company of the Year will be voted for by the public. The biggest awards dedicated to the technology sector here in Northern Ireland takes place on 28th March in the iconic St Anne’s Cathedral and will once again unearth the best innovation, talent and collaboration from technology companies of all sizes and promises to showcase their achievements to a wide audience. Now in its fourth year, the hotly-anticipated awards ceremony has grown to become a major highlight of the year for the local tech sector and will be hosted by TV presenter and local girl, Zoe Salmon alongside local comedian Shane Todd. “Digital DNA continues to be at the forefront of the business and technology community as we continue to champion the digital and tech talent here in Northern Ireland; from start-ups to multinationals, the best young people in the sector, developers who stand out amongst the crowd as well as the teams who have created world class solutions right here in Northern Ireland. “The Digital DNA Awards have earned a reputation as the biggest night for the local tech industry. It’s an opportunity for local companies and individuals to celebrate their success and gain recognition amongst their peers. 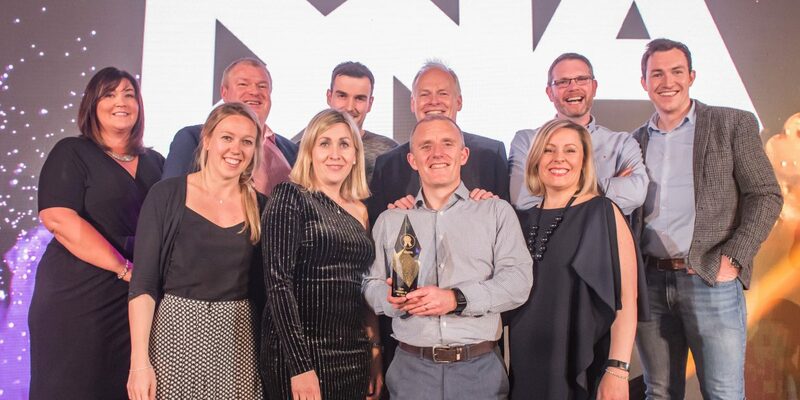 “We were thrilled to have won Company of the Year at the Digital DNA Awards 2018, especially given the incredible calibre of the other nominees. To receive this special recognition amongst our peers was a wonderful reflection on every member of our team. Entrants are urged to get their skates on as nominations close on Thursday 31st of January in what is expected to be another competitive competition. Companies/individuals shortlisted for any of the categories also receive free passes to Digital DNA 2019 taking place on the 18 & 19 June in St George’s Market Belfast! The full list of awards up for grabs are: Business Personality of the Year, Developer of the Year, Entrepreneur of the Year, Young Person of the Year, App of the Year, Best Digital Marketing Campaign, Digital Project of the Year, E-Commerce Project of the Year, Best Large Tech Company, Best Small Tech Company, Startup of the Year, Best Tech for Good Innovation and Deal of the Year. Official Sponsors of Digital DNA Awards are MCS Group as Principal sponsor, Barclays Eagle Labs, Flint and PwC as Major Sponsors.